Savills has sold one of Melbourne’s most extraordinary landholdings on behalf of a local private family. An Expressions of Interest Process sold the property to the City of Melbourne despite numerous higher offers being received from Asia-based groups. 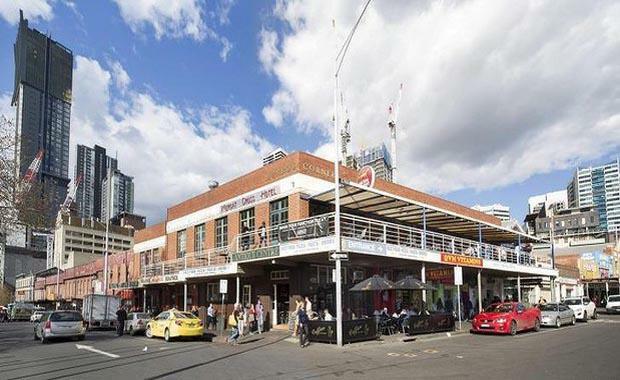 The property, located on the corner of Queen and Therry Streets and opposite the Queen Victoria Markets, comprises a 6,462 square metre site with Capital City 1 zoning. Older-style low-rise retail and warehouse buildings currently occupy the site. The site was acquired for 19,000 pounds from McEwen’s Hardware Co. by James A Munro in 1910 to take advantage of the surge in popularity of the motor car. He had obtained the license to sell Clement-Bayard cars in Australia, which took place at this site. The property has been retained by his family ever since, with the exception of sales of smaller components such as the site now occupied by McDonalds on Elizabeth Street, in 1989. The under-bidder for the site in 1910 was the Melbourne City Council. According to marketing agents Clinton Baxter and Nick Peden of Savills, the property offers development potential virtually unrivalled and no longer obtainable within the Melbourne CBD. "This property represents the single best redevelopment opportunity to be offered to the Melbourne market in many years," Mr Baxter said. "The highly strategic location of the property, plus its history and enormous size makes it the most significant CBD transaction in 20 years. “We were inundated with interest from across Asia, and in particular Mainland China, but after significant consideration, the Vendor family elected to leave a legacy by selling to the City of Melbourne at a discount to higher bids.